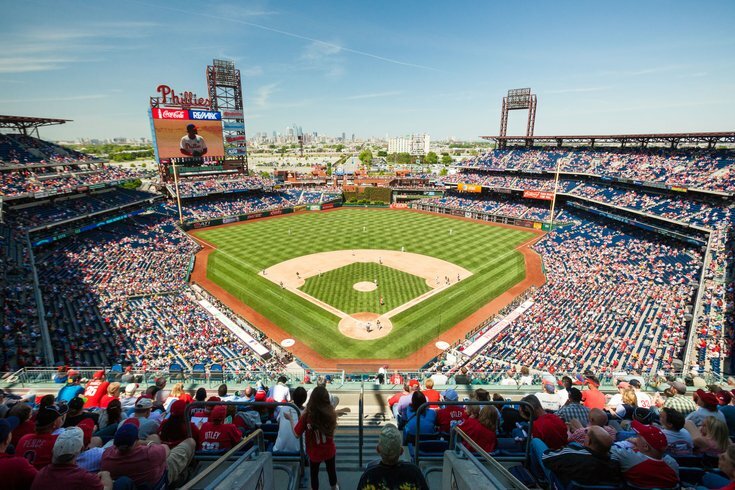 A familiar part of the scenery at Citizens Bank Park will be conspicuously missing in 2019 as the Philadelphia Phillies start the new season this year. The Stadium Holiday Inn has stood at Packer Avenue since 1974, long before Citizens Bank Park opened in 2004. The hotel, visible beyond center field in the photo above, is in the process of being torn down to make way for the Cordish Companies' Live! Casino & Hotel Philadelphia. The long-delayed project, led by the same developer that built Xfinity Live!, is projected to be completed in 2020. 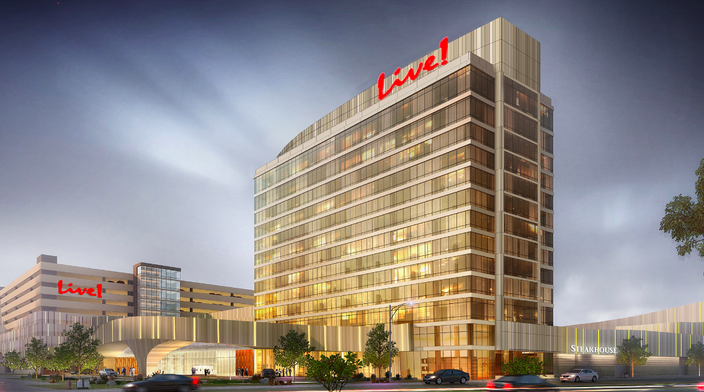 Initial plans for the casino property aimed to retain the Holiday Inn property as part of the new complex, but Cordish determined that its positioning would have prevented them from constructing a large open casino floor, according to OnTheBandwagon. The Holiday Inn is now well on its way to fading from the skyline. The building would likely have come down sooner had it not been for antennas on the roof that were part of Holiday Inn's contractual agreement with mobile companies to maintain cell service in South Philadelphia. Two large steel poles have since gone up on Darien Street to ensure service remains intact and to allow the hotel's demolition. Cordish Companies' $700 million casino project is expected to have 1.5 million square feet of gaming, hotel, dining and entertainment along with a new 200-plus room hotel. Next decade, home run balls will tracked against a much more dazzling panoramic. Rendering of Live! Casino & Hotel Philadelphia.